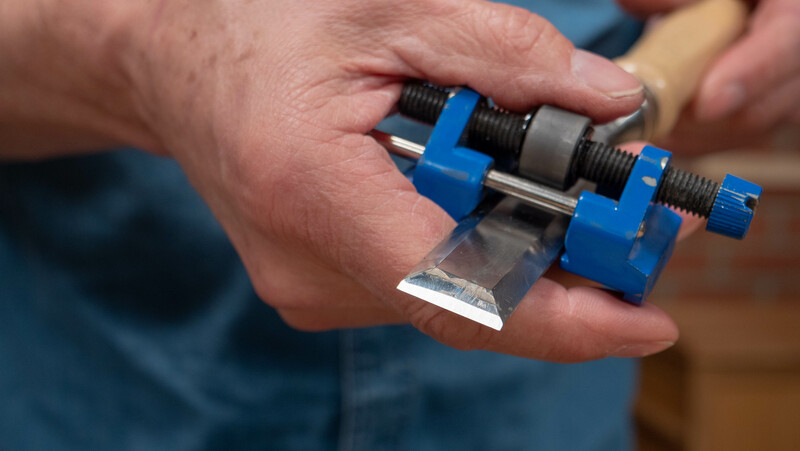 Paul doesn’t consider these an essential tool, however he understands that some beginners may not feel comfortable starting with freehand sharpening. 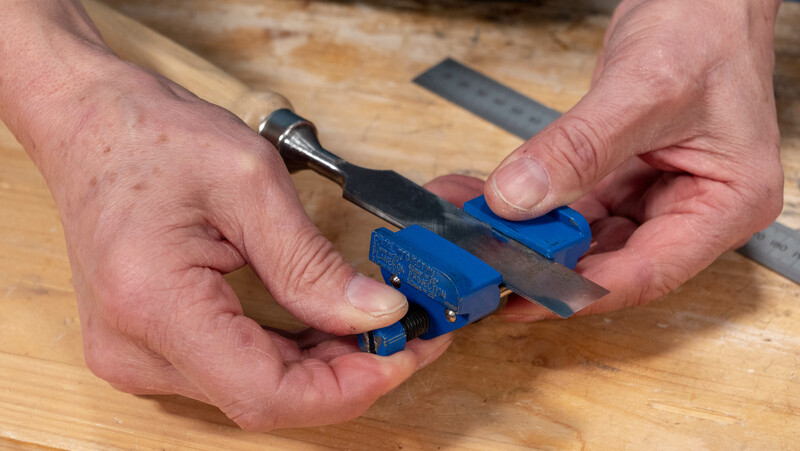 The honing guide is useful if you want to achieve an exact angle, however there is a bit of leeway when sharpening as chisels can be sharpened anywhere between 25-35° and plane blades can be sharpened anywhere between 25-30°. 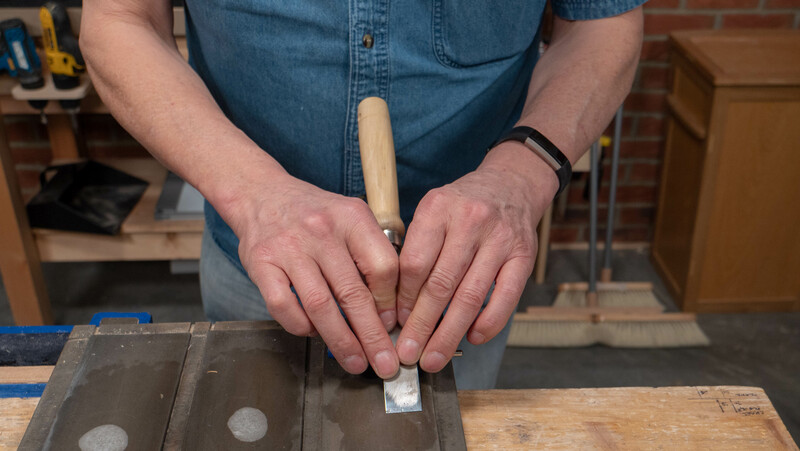 Often honing guides have distances etched into the body which helps you position the blade and tells you how far this needs to be protruding to achieve the correct angle. 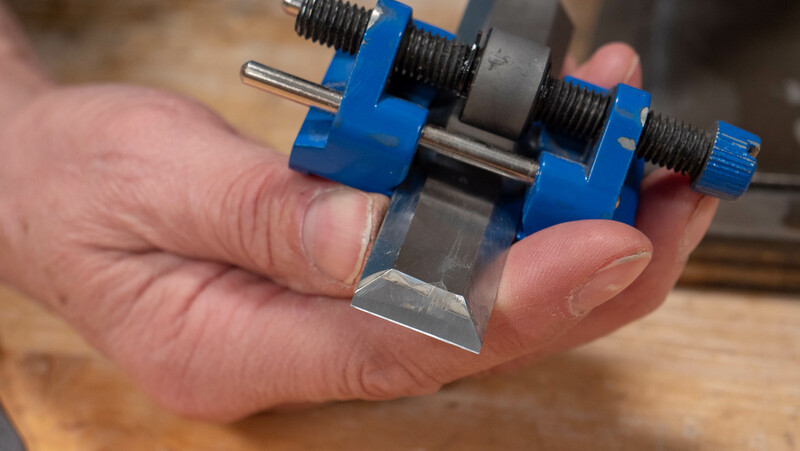 Place the blade into the honing guide, use the adjuster on the side to make the opening larger or smaller depending on the tool you are sharpening. Use the measurements on the side as a guide to tell you how far the blade needs to be protruding, use a steel rule to measure against. In this case Paul positions it at 40mm to create a 25° bevel. 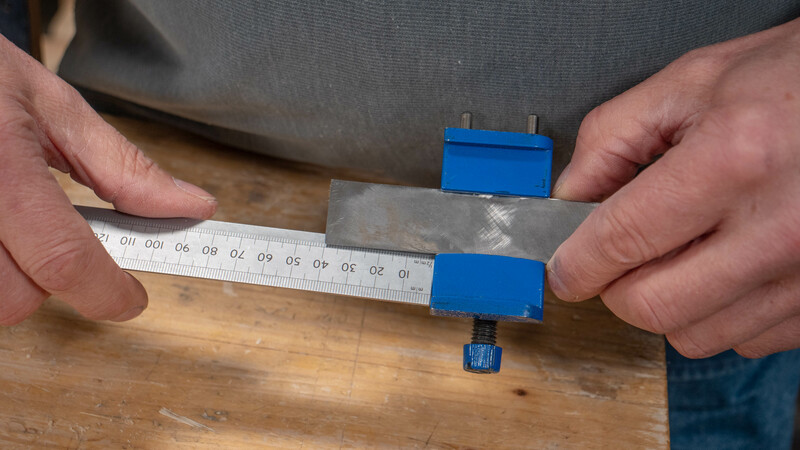 Tip: Paul marks these measurements on the edge of his bench to save time. 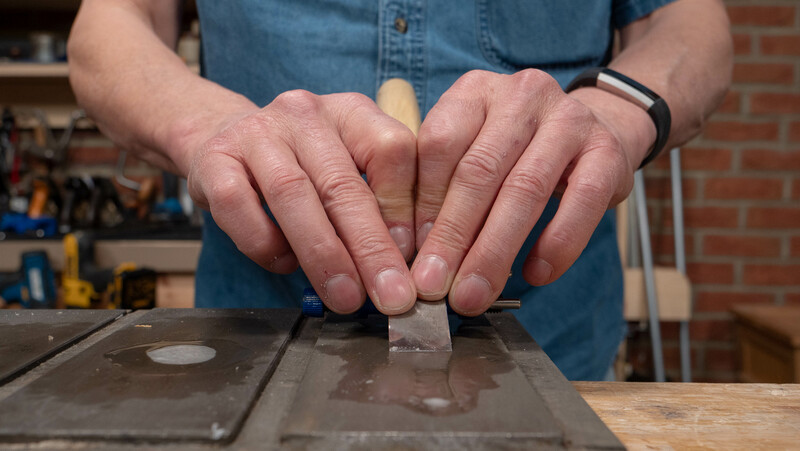 To establish the primary bevel, place the bevel against the most coarse surface you are sharpening on (Paul uses diamond stones) and use the wheels on the bottom to role this across the surface back and forth. 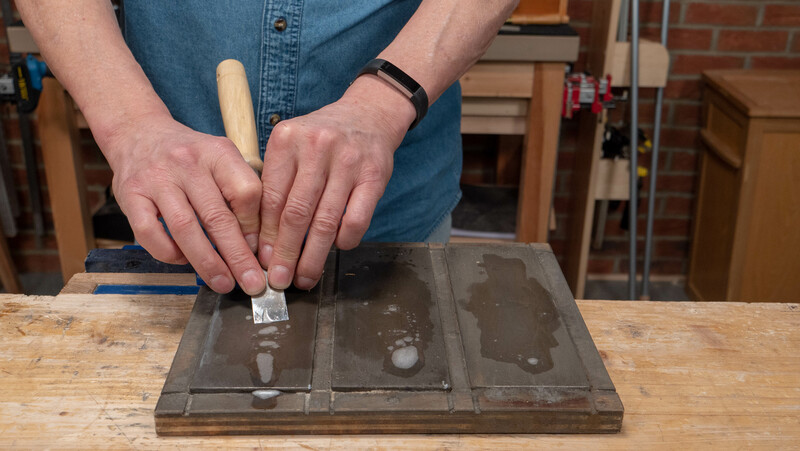 Use your fingers to apply pressure to the top side of the chisel blade and push and pull it along the surface approximately 10 times. 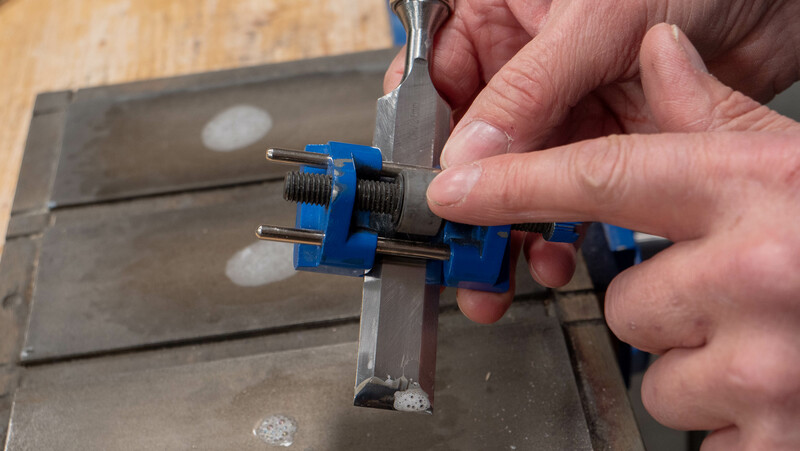 Once the bevel has been established, change the position of the blade in the honing guide (use the measurements it recommends on the body of the honing guide) this will help you refine the cutting edge. This angle must be steeper than the primary bevel, in this case Paul changes the position to 30mm which creates a 30° angle. Repeat the same process as above with the blade in this new position but only on the superfine abrasive surface. Thank You Paul Sellers and Common Woodworking Team for all of the fantastic lessons! I am surprised that Paul is suggesting a micro bevel. I thought that he felt that the micro bevel dulled too quickly. Did I remember wrong, or has this changed? Paul is not suggesting a micro bevel, he is suggesting a second bevel known as a secondary bevel. 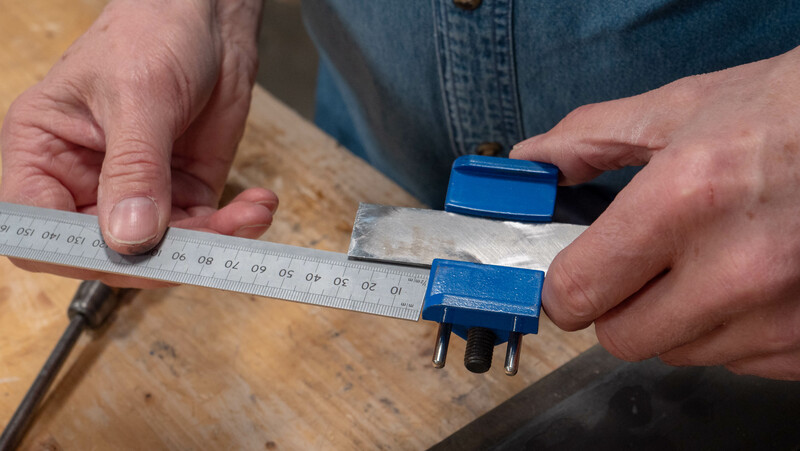 A micro bevel is barely the width of a strand of cotton wide, whereas a secondary bevel might be up to 1/16” wide and this is necessary step when using honing guide.